The family of God… a wonderful expression! But what does it mean? Is there really a place where you can be accepted and loved unconditionally? Can you really know that there is a place you belong… and that the place you belong is with God? Discovering that the reason that Jesus taught us to address God in our prayers as “our Father” is tremendous! It can transform our sense of identity and purpose in the great big adventure that we call life! 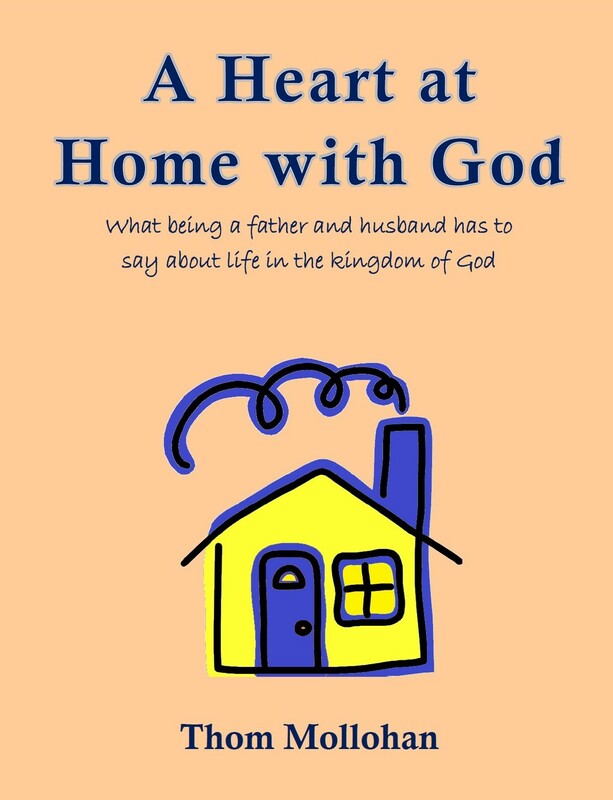 In this collection of 35 devotional thoughts, author Thom Mollohan, a husband and father of four, shares the often amusing and poignant lessons learned at the hand of a patient and loving Heavenly Father in the course of just living life! These devotional-style readings are perfect for anyone wanting to grow in intimacy with God! Available for the Kindle at Amazon for only $.99! Available in ePub format (for other ereaders) for only $.25 (with the promotional coupon for 75% off)! https://www.wavecloud.com/book/heart-home-god/wc20000111061/10675036 Use coupon code “zp5ga2i6” to save the additional 75% when purchasing from Wavecloud!